Small studio apartment decorating ideas: Studio Apartment Interior Design Ideas Crafted Lavishly Mixes Rustic With Modern touch and best strategy to make the most of a limited floor space is to reduce the boundaries to a minimum and to remove any walls that aren’t absolutely necessary. 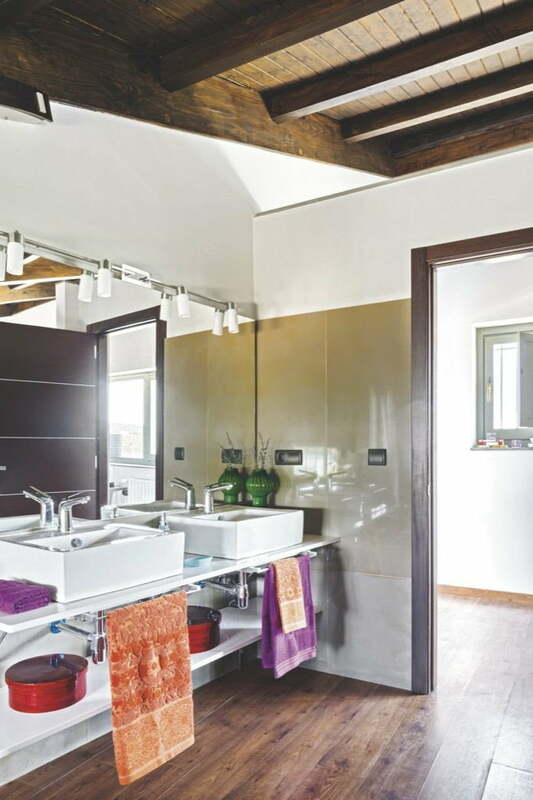 This strategy really paid off in the case of a small studio apartment in the Cordoba countryside, in southern Spain. Measuring only 42 square meters, the studio features an open floor plan with only one room that’s completely enclosed and separated from the rest of the space: the bathroom. When planning the new look, interior designer Martha Ramirez tried to be as practical as possible. 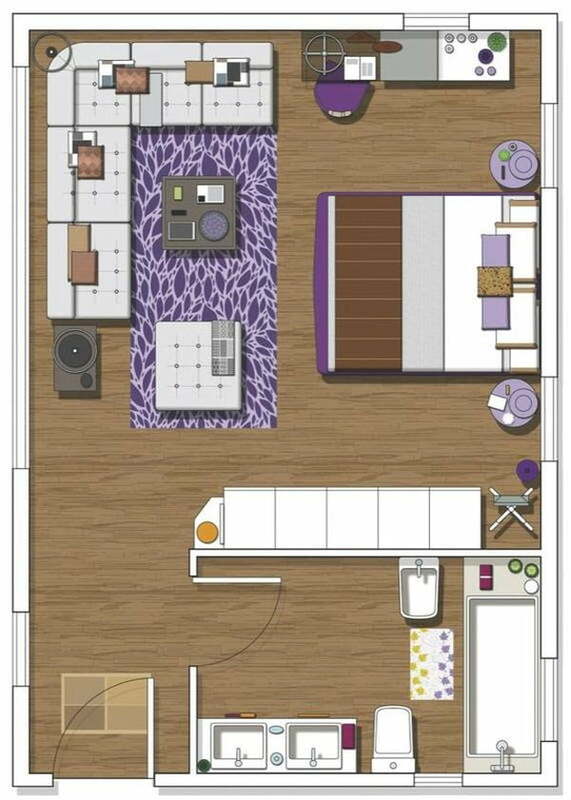 How to decorate small apartment? The living room, the kitchen and the bedroom share the same space. All these areas come together harmoniously. 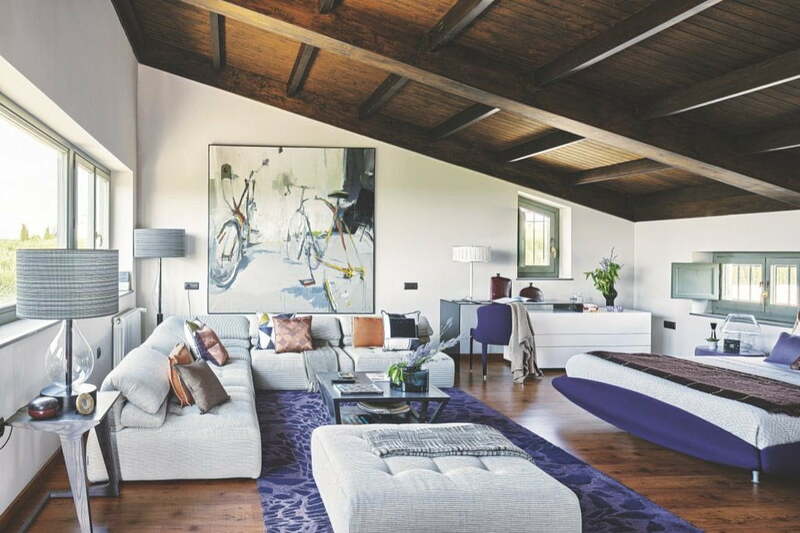 They share in common a spectacular sloping wooden roof which gives the whole apartment a rustic feel. Purple accents balance out the décor, adding a modern twist to the design. The color palette is both casual and lavish, simple enough to keep the studio bright and airy but also with a little bit of pizzazz.The windows also provide an interesting design detail. They’re small and feature different shapes but they’re spread throughout the space evenly. 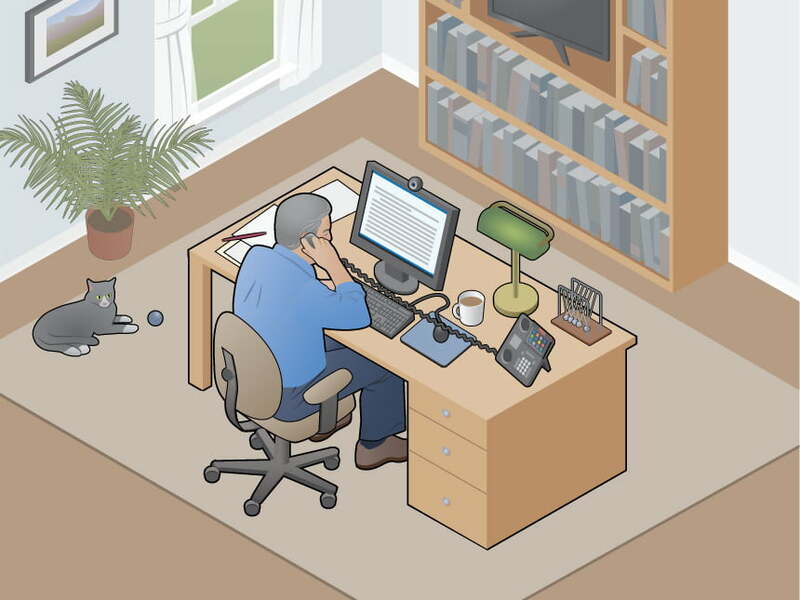 When planning the layout and arranging the furniture, the designer was guided by this element. 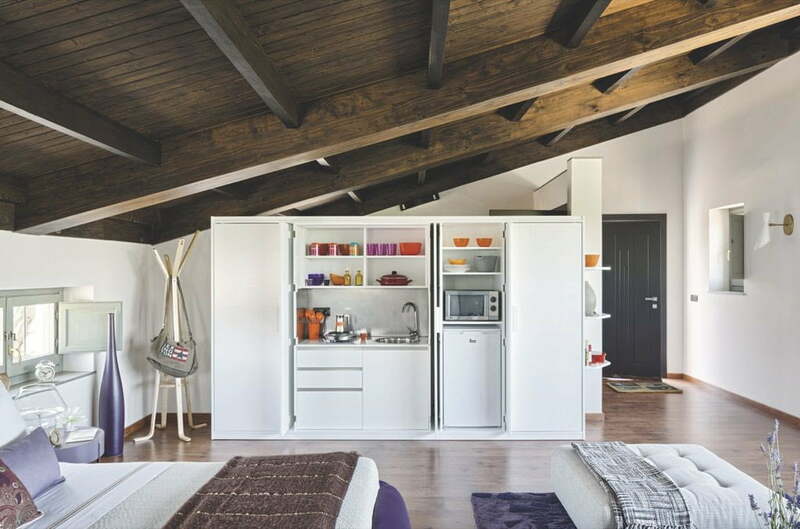 The interior design of the apartment revolves around a minimalist white unit that looks like a bit closet but, when opened, reveals the kitchen.Even though the studio is very small, the fact that it has an open floor plan allowed it to maximize the space and there was even enough room for a workstation which was cleverly designed as an extension from the dresser. The bedroom area consists of a modern bed placed in between the two windows. It was the perfect occasion to create a symmetrical setting by also adding two identical nightstands. The bathroom is the only separate room. 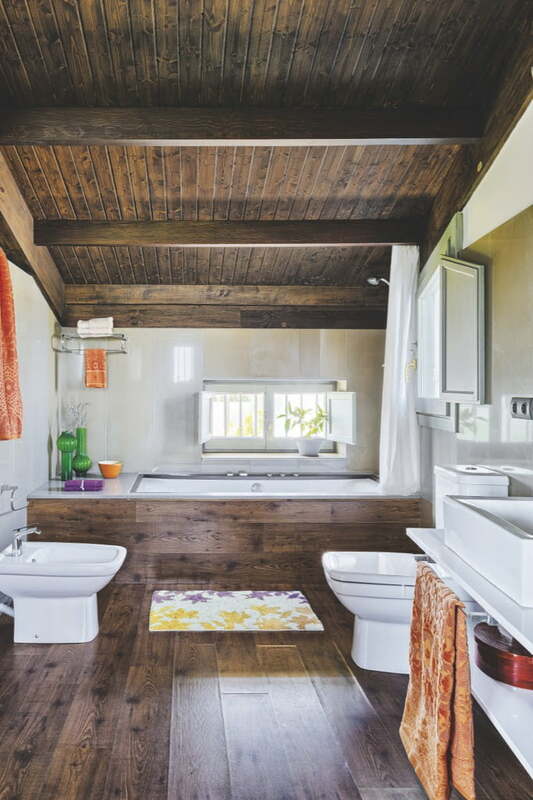 The wooden ceiling matches the floor which extends upwards to conceal the tub. This gives the space a particularly comfortable and welcoming look. So, friends this is all about Studio Apartment Interior Design Ideas Crafted Lavishly Mixes Rustic With Modern look and feel, hope you people like it.